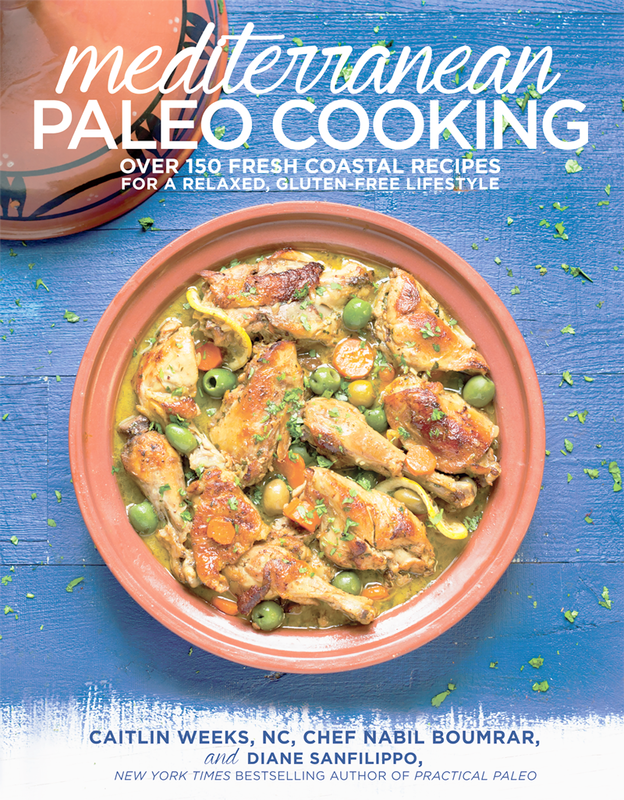 “Mediterranean Paleo Cooking” gets my vote for the 2014 cookbook of the year. The combined knowledge of a classically trained Algerian chef (Nabil Boumrar) and his Holistic Nutritionist wife (Caitlin Weeks) is a total win. 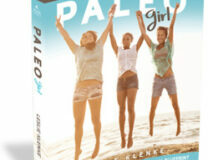 Add in Diane Sanfilippo (Practical Paleo, Balanced Bites) as book designer and photographer, and you’ve got something great! As I mention several times in this interview with Caitlin, the pictures and recipe ingredients sent me on a travel excursion to North African where I could literally smell the spices and taste the tang of the Tajines in my mouth. If I had to use just one word to describe this book, it would be “savory”. What is Mediterranean Paleo Cooking? Caitlin first assures us that authentic Mediterranean cuisine is not low in fat. The Mediterranean Diet is now known for lean meats and seafoods with vegetables, fruits and olive oil. It’s association with low fat is a modification from American doctors and dieticians who misunderstand the role of fat. The recipes contain plenty of coconut oil and coconut milk, real olive oil, virgin Red Palm Oil, butter and ghee. So, Mediterranean Food without the low-fat dogma…. This is traditional food from Southern Europe, North Africa and the Middle East, as Algerian-born chef Boumrar learned from his mother and sisters . Because of the long French rule in this part of the world, we get French sauces such as Hollandaise, and French techniques for searing and braising. Lamb and seafoods are common proteins in the region and there are many succulent recipes for lamb, calamari, sardines, fish and beef. Bone broth is used extensively in the book (with notes on what to substitute if none is available). There’s a big chapter on liver, heart and other nose-to-tail foods that are so flavorful looking and savory (there’s my word again) that you really do want to try them. The herbs and spices include, amongst others, cumin, cilantro, lemon, saffron, mint, garlic, onion and cayenne or paprika. The book lends itself to find-your-niche recipe hunting, by first following basic Paleo principles (no grains or sugars but some dairy is allowed). Then it’s easy to find egg-free, nut-free, AIP (Autoimmune Paleo Protocol), Low Carb, or SCD (Specific Carbohydrate Diet) substitutions. 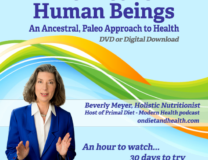 There are 30 Day Meal Plans for regular Paleo and for AIP. These come with Shopping Lists. The health benefits and features of real Mediterranean cuisine are described for us by Caitlin, as additions to Chef Boumrar’s recipes. There are 20 sugar-free desserts and they all look great. There’s a simple apricot ice cream (with coconut milk) that looks easy and delicious. The authentic Moroccan slow-cooked Tajines can be made in a stock pot, so no special equipment is needed for anything here. It’s simple and relaxed food all the way! There are multiple fresh cauliflower recipes to use in place of rice, couscous, chickpeas (for humus) and more. Spicy foods. Aromatic foods. Great desserts with options for thickeners and sweeteners. Chef Nabil’s talent for showing us supremely savory foods that are easy to prepare is really all the Special Feature you need…. Where Can I Get It? And When? 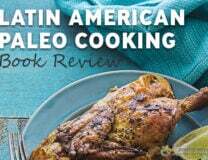 Mediterranean Paleo Cooking is on pre-order at Amazon for only $22.50. It’s also available on pre-order on the Grass Fed Girl website. It will be in stock in late October 2014 (just in time for gift shopping!). Here’s a beautiful 90 page inside look to really tempt your purchase! Join Caitlin Weeks and Diane Sanfilippo on their multi-city book tour with information here.